Intact Financial Corporation (IFC) has announced that executive vice president Don Fox will be leaving the company effective May 3. Fox has been responsible for overseeing IFC’s investment management, corporate legal, corporate development, audit and finance functions. These key functions, with the exception of audit, will report directly to Charles Brindamour, chief executive officer of IFC, Intact said in a press release Friday. Audit will report directly to Frederic Cotnoir, senior vice president, corporate and legal services and secretary. “While Don has most recently been a part of Intact’s executive committee, he has been a key individual in many of our important transactions over the years, including our IPO in 2004, our move to become an independent and widely held Canadian property and casualty insurance provider in 2009, as well as, the Allianz, AXA, Jevco, CDI and OneBeacon acquisitions,” Brindamour said. Fox joined IFC as executive vice president on Jan. 1, 2017. 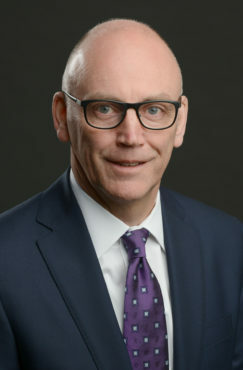 Prior to joining the company, he spent 29 years in the investment banking business, most recently as vice chair of global investment banking at CIBC. He was head of the financial institutions investment banking group at CIBC from 2000 to 2015. Prior to CIBC, he held investment banking roles at Merrill Lynch, Midland Walwyn and Burns Fry. Before entering the investment banking business, Fox worked as a financial officer for various junior oil and gas companies and practiced as a public accountant with Arthur Andersen. He qualified as a chartered accountant in Alberta and holds a bachelor of commerce degree from the University of Saskatchewan. Look at all the acquisitions! Is there competition left in Canada or are we heading down the same path as our cell phone “competition”? This needs to end or we need to bring more public auto insurance. It’s ridiculous. Same company – just wearing a different mask.